Every wondered how drunks lying on CityRail trains know what they shouldn’t be doing? Looks like someone else had the same idea and moved the prohibitions sign accordingly. 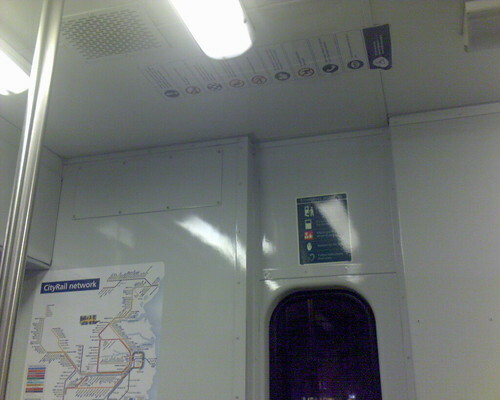 This entry was posted in Photos and tagged CityRail, photo, sign, train. Bookmark the permalink.